Farmed extensively in the United States and throughout the world, like catfish it has overcome a "farmed" reputation to become a reliable, high quality, inexpensive fish. Farms not only produce full grown market ready fish, they frequently stock local streams and lakes with hatchlings to support an enthusiastic sport fishing community. Wild trout are somewhat stronger in taste than their farmed counterparts. Most market ready trout are available whole, center bones removed "butterfly" style which makes for easy preparation. 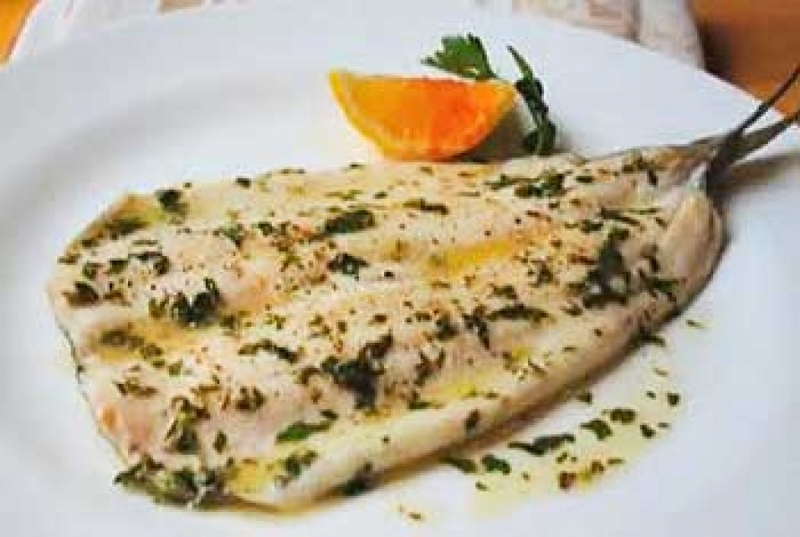 Delicate and mild in taste, trout can be stuffed and baked, or simply pan fried as if caught from the local stream. In large deep stock pot place a rack over 2-3 inches of water and bring to simmer. Toss carrot slices with coriander, cumin, ginger and red pepper, place on a heatproof plate and place on rack. Cover and steam 4 minutes. Season fillets with salt and pepper. 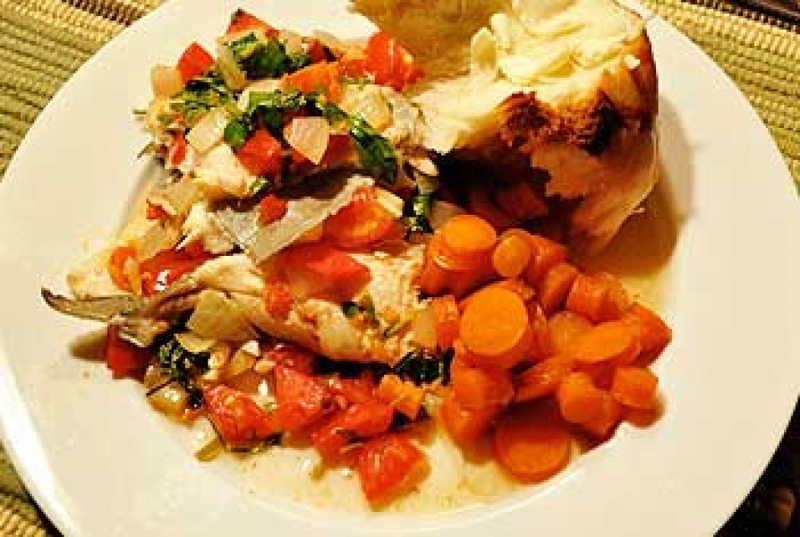 Arrange trout fillets over carrots. Cover and continue steaming 6 minutes longer until fish is opaque and flakes with a fork. Transfer 2 fillets each to individual plates and spoon on carrots. Sprinkle on green onions and drizzle with lemon juice. Serves 2. Open fish, brush flesh lightly with butter. Broil flesh side up, close to flame for 2 to 4 minutes until flaky. Serve immediately with sauce. Sauté flour and butter until lightly browned. Whisk in next four ingredients, reduce heat and cook 2-3 minutes until shallots are tender. Remove from heat, whisk in chilled butter. Add parsley. Season with salt and pepper. Keep warm until served.